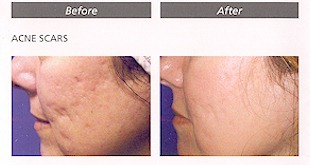 Experience beautiful glowing skin with the innovative treatments of Fraxel in New Jersey. Our board certified plastic surgeons serve Edison, Marlboro, Warren, and Montclair, NJ. Fraxel lasers offer safe, non-invasive treatments for all skin types with outstanding results that you can see and feel. The technology behind Fraxel treatment is as revolutionary as the results it can deliver. Unlike other laser treatments, NJ Fraxel treatment is able to precisely treat thousands of microscopic areas of skin, using pinpoint laser beams that penetrate beneath the skin’s surface to eliminate old, damaged skin cells. Fraxel treatment stimulates the body’s own natural healing process, which replaces damaged skin with fresh, glowing, healthy skin. Your skin type is unique – your genetic make-up, lifestyle and personal history all contribute to how your skin looks and feels. With Fraxel treatment, your physician can develop a treatment plan tailored to your skin’s individual needs. By design, Fraxel treatments are able to target between 5 and 50 percent of the skin’s surface and leave the remaining 50 to 95 percent available to rapidly heal the areas that were treated. Because New Jersey Fraxel treatment is so precise, it is safe and effective on delicate skin areas such as the neck, chest, hands and face. Patients who undergo this type of treatment can anticipate results on two levels: immediate and progressive. Immediately after the first stage of the healing process is finished, the surface of your skin will have a softer feel, a brighter appearance, and your skin tone will begin to even out. Progressive results begin to set in over the next three to six months as the deeper layers of your skin continue the healing process. Has Fraxel treatment received FDA clearance? Everyone’s skin is different, but clinical studies suggest that for most people, maximum results are realized in just 3 to 5 sessions. They are usually spaced 2 to 6 weeks apart. You will have some degree of redness and swelling. The intensity and duration depends on how aggressive the treatment was and your particular healing characteristics. Other temporary side effects may include minor itching, dry skin, peeling or flaking, and a bronzed skin appearance. You will be given specific instructions about what to expect for your particular treatment and how to minimize the side effects in order to get the best results in Fraxel NJ has to offer. Wear sunscreen of SPF 30 or higher and avoid direct sun exposure while you’re healing for at least 3 months after your last treatment. Further protect yourself by wearing wide-brimmed hats if you expect to be out in the sun. Browse our gallery to discover cosmetic solutions to aesthetic issues. How long do the effects of Fraxel treatment last? It depends on your particular condition and how you care for your skin. Once your skin is restored, continue to protect it as described above. For conditions such as melasma, it is very important to avoid direct sun exposure. Your physician will give you specific advice based on your individual needs. Simply put, Fraxel treatment promotes your skin’s own healing process and results in natural rejuvenation that removes years from your appearance. 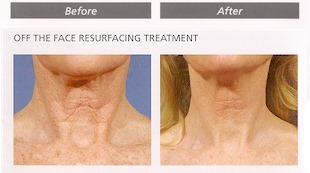 Depending on your skin, you can decide how you want to attain the remarkable results Fraxel treatment delivers. Aggressive treatments require fewer sessions and result in more post treatment side effects – meaning a few days of social downtime. Less aggressive treatments accomplish the same results with a few more treatment sessions and less pronounced side effects. For some types of skin and skin conditions, gentle and/or fewer treatments are best. Fraxel treatment was specifically engineered to give your physician complete treatment control, based on your particular needs. 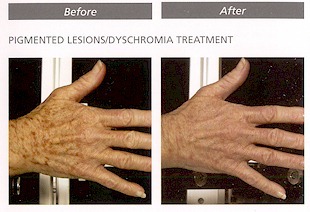 Fraxel treatment can work wonders, but the first step is up to you. Ask your physician for more details about the benefits Fraxel treatment can deliver for you by calling 732-548-3200 today. We serve patients from New Jersey and surrounding areas.